Home » » Consent Of The Attorney General Pursuant To S.84(1) of the Sheriffs & Civil Processes Act - Did CBN v. Interstella Decision Nullify The Pre-Condition? Consent Of The Attorney General Pursuant To S.84(1) of the Sheriffs & Civil Processes Act - Did CBN v. Interstella Decision Nullify The Pre-Condition? Enforcement of Monetary Judgment vide Garnishee Proceedings against State entities especially monies considered to be in custody of a Public Officer has been a mirage leaving Judgment Creditors in helpless situation after the rigours of obtaining judgment usually through a feisty contested and protracted litigation. “Where money liable to be attached by garnishee proceedings is in the custody or under the control of a public officer in his capacity or in custodial legis, the order nisi shall not be made under the provisions of the last preceding section unless consent to such attachment is first obtained from the appropriate officer in the case of money in the custody or control of a public officer or of the court in the case of money in custodial legis, as the case may be “ . The appropriate officer under this context is the Attorney General of the Federation or that of the State as the case may be. This provision has been described as a pre-condition, which must first be fulfilled before the Order Nisi, that is sought ex parte is acceded to. There have been divergent views as well as conflicting decisions of the Court of Appeal on the constitutionality or otherwise of this Section which tends to deprive Judgment creditors from reaping the fruit of their judgment. This article attempts to briefly analyse the applicability of this provision vis-à-vis the recent decision of the Nigeria Supreme Court in CBN v INTERSTELLA COMMUNICATIONS LTD (2017) SC/500/2014 delivered on the 15th of December, 2017. The pre-condition provided under Section 84 of the SCPA has a common law root. The General Common law position in order to protect the state, used to be that “ the King does no wrong” which is expressed in the latin maxim, “Rex non protest pecarre”. The trend in that inherent principle was that no country allowed execution of judgments against the state. It was also the law then under that principle that the state could not be sued in tort. Courts were then regarded as the King’s Court. Naturally, judgment obtained by an individual could not be enforced against the King. Clearly the crown enjoyed immunity from legal actions and could not be impleaded in its own court for tortious acts by its servants. In 1958, the said principle was trans-located into Nigeria by virtue of Section 45(1) of the Interpretation Act, Cap 89, LFN 1958. The principle was still the law in Nigeria even though it had been abolished in England by the promulgation of the Crown Proceedings Act, 1947. The principle of State immunity from tortious liability was codified to be part of Nigeria law by virtue of the Petition of rights Act, Cap 149 as amended in 1964. This explains how the common law principle prevailed. The idea is that in a bid to protect the state, individuals cannot enforce judgment against the King in his own court without the consent of the Attorney General. This trend persisted up till 1979 when the 1979 Constitution came into effect. All the cases before 1979 affirmed that any decisions of the High Court against the State couldn’t be enforced without the consent of the Attorney General. In this current constitutional dispensation, the provision of the Petition of Right Act to the extent that it purports to prevent an aggrieved party from taking direct action in court against the State is in riot conflict with Section 6(6)(b) of the Constitution to the extent of its inconsistency null and void. Therefore garnishee proceedings can be instituted against the government. See RANSOME-KUTIv. AGF (1985) 2 NWLR (Pt 6) 211. This extra formality or red-tape was described by Lord Atkinson in HOLLINSHEAD v. HAZLETON (1916) 1 A.C 428 H.L in the context of the Petition of Right as “ merely an amicable litigation taken by consent of the crown against the crown itself”. Eso JSC describes it in RANSOME KUTI v AGF (Supra) as an “Unknown Soldier”. POLICY CONSIDERATION BEHIND SECTION 84(1) OF THE SCPA. This decision has been followed by plethora of decisions of the Court of Appeal vis UNIVERSITY OF CALABAR TEACHING HOSPITAL v. LIZIKON (NIG) LTD & ANOR(2017) LPELR-42339(CA), CBN v OKEFE (2015) LPELR – 24825 (CA). THE POSITION IN CBN v. INTERSTELLA (SUPRA). In 2017 the Supreme Court of Nigeria was presented with the first opportunity to determine the constitutionality or otherwise of this Section 84(1) of the SCPA under review, vide an appeal by CBN challenging the concurrent findings of the lower courts on the ground inter alia that no prior consent of the AGF was sought and obtained before the Order Nisi by the Federal High Court Umuahia Coram H.T Soba J was granted, which subsequently crystallized into an Order Absolute. In this case, the Judgment creditor had obtained a consent Judgment wherein the AGF on behalf of the Federal Government’s inter-ministerial committee had agreed to pay the sumof N24.666 Billion as novation for a debt owed by NITEL (a public corporation) and in so doing induced the judgment creditors to alter their position by accepting a much lesser amount from the actual debt. The Government indeed proceeded to pay a fraction of the agreed sum; it was after it failed, refused or neglected to pay the residue, that the 1st and 2nd respondent approached the court. At the hearing of the appeal both the CBN (as garnishee) and the AGF argued forcefully that the Order nisi obtained without prior consent was void hence the order absolute attaching the amount standing in favour of the government is a nullity. It was argued that the CBN’s compliance with the Said Section 84 of SCPA was mandatory; being a public officer. It was the contention of the appellant that the participation of the AGF in the negotiation leading to the compromised sum and part payment thereof did not amount to consent as contemplated under the Section 84(1) of SCPA because the negotiation is not a garnishee proceedings. The court in resolving the issue against the appellant relied on the relevant background facts leading to the garnishee proceedings, describing same as very peculiar which cannot be fitted with the general interpretation of Section 84 of the SCPA. 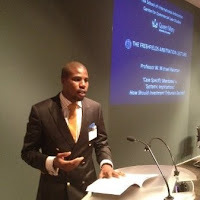 The court reasoned that under the doctrine of Accord and satisfaction, the judgment creditor had forfeited substantial part of the debt on the representation of the AGF negotiating on behalf of the state, which was clearly captioned in documentary evidence, found in the record of Appeal as Exhibit Q. It posited further that the AGF having assumed the indebtness of the original debtor by subrogation therefore cannot take cover under the pretext of Section 84 SCPA to deprive the Judgment debtor from enforcing his judgment. “ … It is well and explicit on the facts of this case that the AGF has all along held out himself to be an active participant in several stages of negotiations, transactions and even part payment of the debt owed. ….the most potent factor which makes section 84(1) of the SCPA inapplicable herein is because the AGF is the debtor and has been sued in that capacity. With the AGF being the Judgment debtor therefore, will it not be absurd to require that his consent should be sought especially having admitted that he had taken the move by paying part of the debt in question? 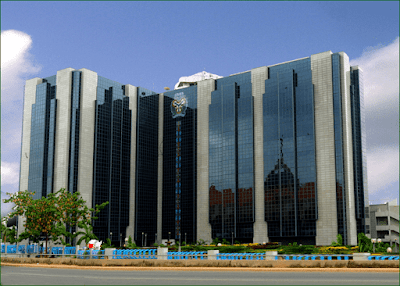 IS THE CBN A PUBLIC OFFICER OR A BANK WITHIN THE CONTEXT OF ATTACHING MONIES OF THE FGN? Another position, which was considered by the Apex Court in the CBN v. INTERSTELLA decision under review, is with respect of this vexed question that has equally posed tremendous hurdle to judgment creditors seeking to enforce judgment sum against the FGN accounts domiciled with the CBN. The decision of IBRAHIM v. JSC has lent credence in classifying the CBN as a public office hence can be held out as custodial legis requiring consent. However, the Court of Appeal per GALADIMA JCA (as he then was, later JSC (retired)) in PURIFICATION TECHNIQUE v. AG LAGOS (2012) 1 BFLR 544 gave a very shy treatment to the issue and relegated it to the back waters, when it held that there is absolutely no basis for treating government’s bank accounts any differently from bank accounts of every other juristic personality or customers. It is pertinent to note that in this instant case, the Garnishee proceedings sought to attach monies standing in credit to the Lagos State Government accounts domiciled in Commercial Banks through CBN was equally sought to be attached. “The relationship between the 3rd respondent and the appellant in this case, same is purely that of a banker to a customer. Therefore, the question of whether the appellant is a public officer, who cannot release funds except the consent of the AGF is obtained does not apply to the facts and circumstances of this case”. Finally, it is the writer’s contention that CBN v. INTERSTELLA has created wide panoply of exceptions from different fronts to the general principle, which will assist Judgment Creditors in their quest for monetary enforcement against the state, however it did not in my opinion expressly address and/or nullify the constitutionality of Section 84 of the SCPA.